Please note: this is an advanced build. 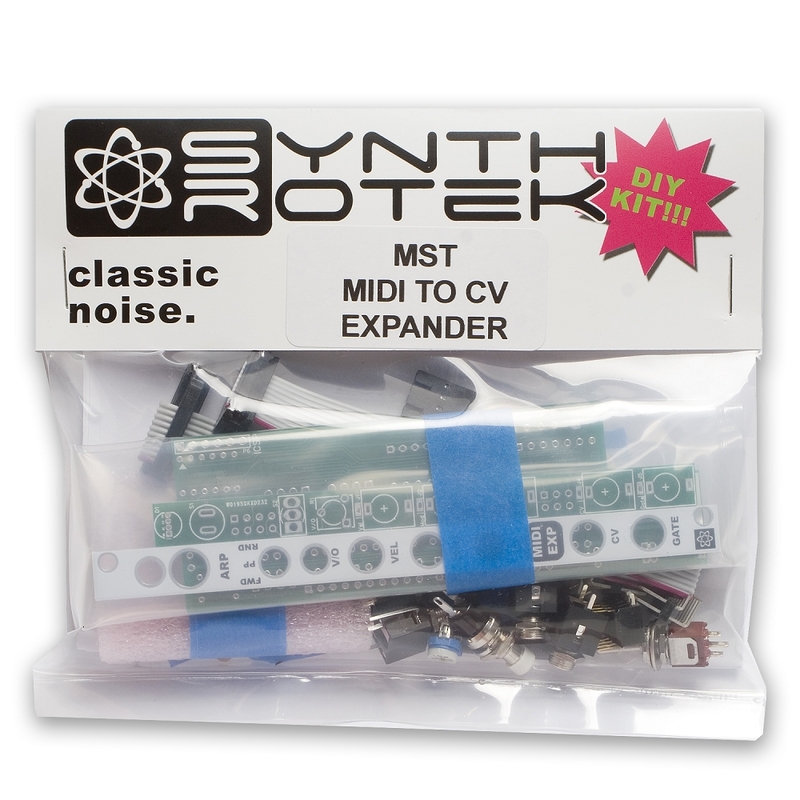 Please note: in order to use the Expander, your MST MIDI to CV Converter must have code version 1.3. If you have an older version of the software on your Converter, you will need to purchase a new PIC18 chip for the Converter in order to use it with the Expander; the software is not available for download. The version is written on the PIC18 chip itself, you can see it if you pull your module out of your case and look at the back. The PIC18 chip is available here. 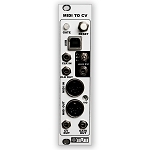 The MST MIDI to CV Expander module is a tiny but extremely powerful expansion module for the MST MIDI to CV Converter. 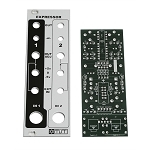 The Expander includes an arpeggiator and allows you to have additional CV, gate, velocity, modulation and aftertouch outputs on a separate MIDI channel. 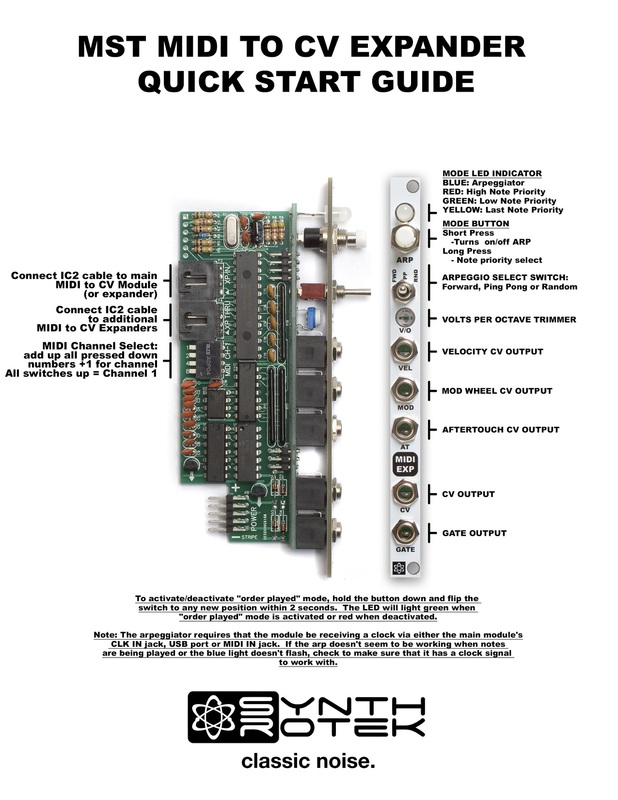 You can also set it to the same MIDI channel as the Converter and use one of the three note priority selections, which will allow you to do duophony/pseudo-polyphony. 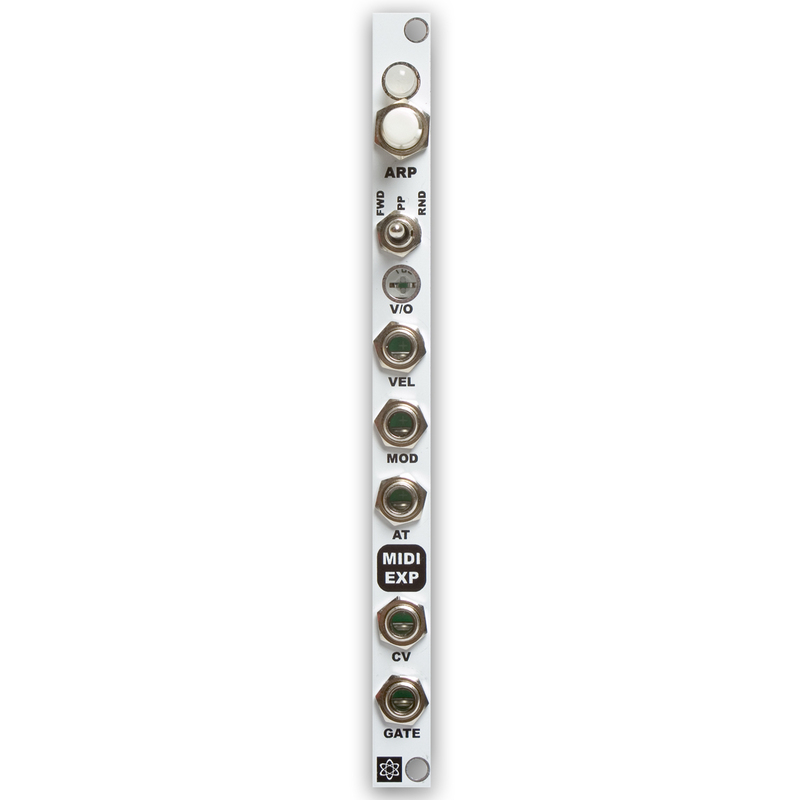 You can daisy-chain Expanders together to add even more channels. The Expander really shines when it is used with a DAW. 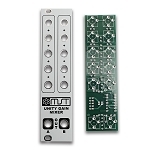 Multiple Expanders can be set to different MIDI channels in any sequencer (like Ableton for example), making live performance with your Eurorack simple. 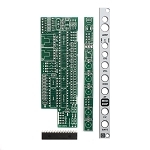 The Expander connects to the MIDI to CV Converter using an I2C cable (included). 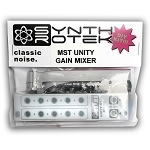 Please note: the Expander will not work without the MST MIDI to CV Converter.